"A new industry is being established in New York, with the primary stimulus being a state-driven procurement process." New York State Public Service Commission (PSC), July 12, 2018. To a great extent, this PSC comment provides direct insight into the dynamics behind New York's pace-setting moves to establish offshore wind. First, this new energy development is deliberate - not left to chance or laissez faire markets. Second, state officials are in control, from choosing a contractor to securing money for payment. Third, state utility commissions act on projects. To that end, New York's Public Service Commission's "Order Establishing Offshore Wind Standard and Framework for Phase 1 Procurement", July 2018, is about action, not discussion. This PSC Order created a framework that started a remarkable and fast-moving set of events. • On November 8, NY Governor Cuomo directed the New York State Energy Research and Development Authority (NYSERDA) to issue a request for proposals (RFP) seeking 800 megawatts or more of new offshore wind projects. 2. Empire Wind Project - Equinor US Holdings, Inc.
3. Liberty Wind - Vineyard Wind 4. Sunrise Wind - Bay State Wind LLC, a joint venture of Ørsted A/S & Eversource Energy. • By March 31 New York's LSEs - "Load Serving Entities" - investor owned utilities as well as municipal systems and power cooperatives - were to formally commit to purchasing the offshore wind power. That guarantees a customer base from Montauk on eastern Long Island to Buffalo. LSEs will buy power in proportion to each utility's annual total load. • In the spring, NY will select a developer. • Contracts are expected by summer. This could hit a brick wall if the economics/prices aren't right. Right now, finance is a mystery - except to state reviewers - because the public versions of the developers' proposals are heavily redacted, making it impossible to review generation costs or wholesale/retail costs or what kind of subsidy New York ratepayers might have to pay. Still, in the years ahead, New York will need new and replacement electric generation capacity. Natural gas is the only other viable generation fuel but even gas has been marginalized because of constant and increasing opposition related to safety, environmental and climate issues. Plus, New York officials are confident that wind prices will be competitive, that U.S. projects will mirror the steep price declines seen within recent European wind projects. When asked about costs, NYSERDA staff (not otherwise identified in an email), provided an indirect, comparative answer, referencing generation costs for an upcoming Massachusetts project of around $65/MWh, implying that that figure would be competitive and favorable for NY. Again, NY will need new generation. So now, goes this official reasoning, is the time for bold leadership in a new, green energy industry. Eventually, the PSC argues, because of timely moves, New Yorkers could have relatively inexpensive, competitively priced power. The PSC writes that NY's programmatic "jump-start should produce great value when it results in a large and affordable renewable resource within simple transmission distance of downstate loads." New York will not own any energy infrastructure. NYSERDA is authorized to buy ORECS - "offshore renewable energy credits" - from an eventual power supplier. In turn, NYSERDA will sell the ORECs to the LSEs. Renewable energy credits are complex. Until all funding details are open for review, it's hard to tell exactly how the ORECs will work in NY's energy market. Economic development is a major part of New York's offshore wind planning. Among the developers' proposals, reviewers will weigh economic impact at 20%, price at 70% and "viability" at 10%. Importantly, that's local and regional economic development. The PSC's July Order, for example, writes that "due to the size of towers and blades, construction of offshore wind projects requires regionally based waterfront facilities." This big picture has been closely studied. NYSERDA officials screened 65 port sites within the state and determined that New York Harbor, the Hudson River, and Long Island contain numerous suitable places and facilities for manufacturing, assembly, operations, and maintenance, including potential port sites as far north as Albany. Officials estimate that if 2.4 GW were deployed regionally by 2030, that build-out would result in up to 5000 jobs, including 2000 long-term jobs dedicated to operations and maintenance. PSC writes further that "while New York has inherent advantages in attracting Atlantic coast offshore wind development, including its central location, the State will be proactive in developing workforce expertise, infrastructure, and other prerequisites to attracting offshore wind jobs." This expertise holds payoffs. First, as noted, wind investments will be an economic driver, impacting everything from payrolls to local taxes. Second, PSC writes that "there is compelling evidence that costs will tend to decline sharply after a supply chain has been established." Therefore, the Commission writes, "offshore wind procurement needs to begin immediately in order to cost effectively secure the economic and environmental benefits." Labor officials have a close eye on upcoming developments. 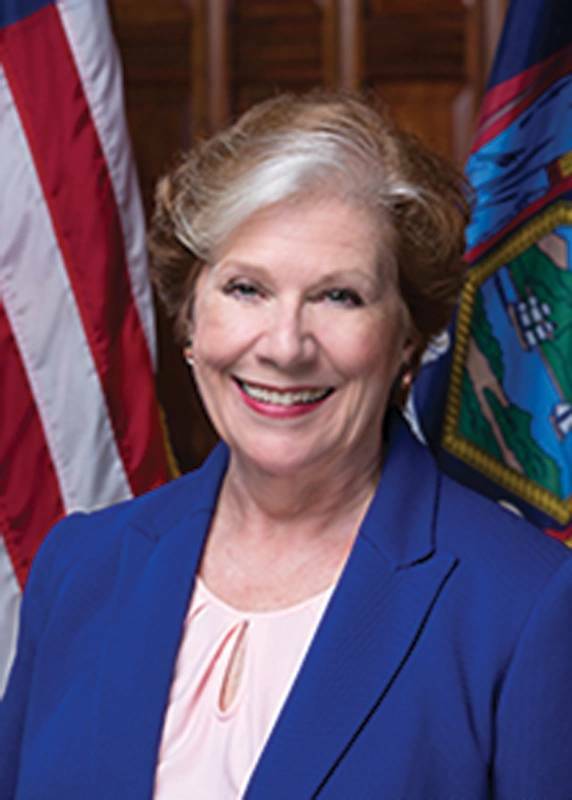 In a press release announcing NY's new wind effort State Department of Labor Commissioner Roberta Reardon said, "This (offshore wind) solicitation not only supports the state's ongoing commitment to the environment it also benefits workers by requiring project labor agreements, guaranteeing prevailing wage and incentivizing jobs." The PSC writes that project labor agreements "may be particularly valuable in the context of offshore wind procurements where time is of the essence. A PLA helps to assure timely compliance with contract terms and delivery of power by the specified COD." Gary LaBarbera, President, Building and Construction Trades Council of Greater New York and Co-Founder, Climate Jobs New York, said, "The jobs created by this new industry will be good middle-class careers that provide excellent wages, health and retirement benefits, as well as safety and skills training for this new sector. New York State's plan for Offshore Wind procurement is a "win/win" for New Yorkers." As noted above, New York's plan is to choose a developer by this summer. The build-out schedule after that is still evolving. One big-picture goal is to develop 2,400 MW of offshore wind energy by 2030. Again, NY officials believe that the sooner they start, the lower the total costs and New York will be steps ahead of other east coast states seeking the same economic benefits. The PSC authorized NYSERDA officials to spend almost $20 million between now and 2023 to cover related development costs. Another pressing, timely issue is that the federal Investment Tax Credit (ITC) ramps down and expires in 2019. In its July Order, the PSC makes note of this, writing that "immediate action is needed to take advantage of hundreds of millions of dollars in potential savings." The ITC provides a credit for 30% of investment costs at the start of a project. It is especially significant for offshore wind because such projects are particularly capital intensive making up-front benefits important. Projects qualify if construction starts before the credit expires. Project siting is still another unknown. Siting is a time-consuming process even if everything goes smoothly. In its RFP, NY writes that a prospective developer "must hold an irrevocable right or option to develop the entire Offshore Wind Generation Facility site footprint within a federal Bureau of Ocean Energy Management (BOEM) commercial wind energy lease area." Still, BOEM's graphic makes clear that many steps remain even after a lease is granted. These steps take time, measured in years in BOEM's timeline. 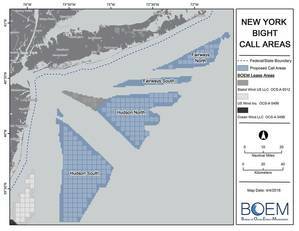 Interestingly, there is one leased area in the New York Bight, an area leased to Equinor (used to be Statoil, the Norwegian petroleum/wind energy giant) and, recall from above, Equinor is one of the four companies that responded to NYSERDA's request for proposals. 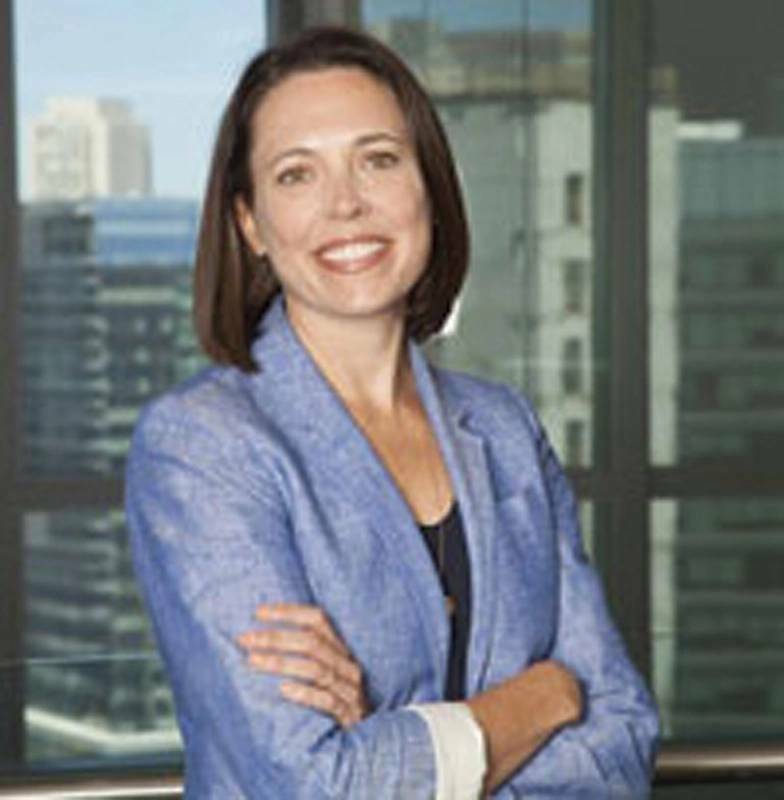 Equinor signed a 31-year lease with BOEM in March 2017, paying $42.4 million. Annual rent is $238,050, which changes when the site generates power. The lease has a 1-year "preliminary term" (passed now) and a 5-year "site assessment term." Then a 25-year "operations term." Site assessment is a critical part of the BOEM process. But note that it can take up to 5 years. Again, to take advantage of wind tax policies, people are going to have to be working some overtime, starting ASAP. If NY cannot take advantage of the ITC, how does that change project economics? For a big project, the end of 2019 is close. New York's big challenge is to maintain its great momentum.